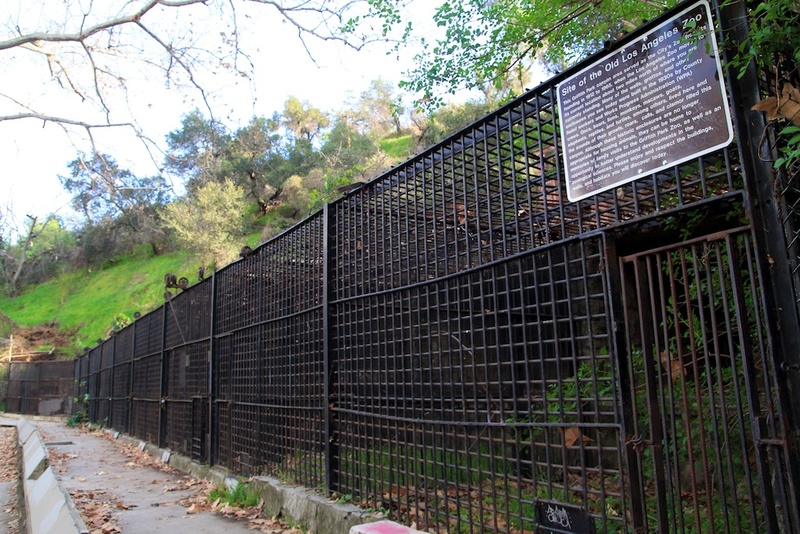 The old zoo in Griffith Park is one of those places I literally knew nothing about before I went to it. After going though, it has become one of my most recommended places when people ask me for non-traditional things to do in LA. 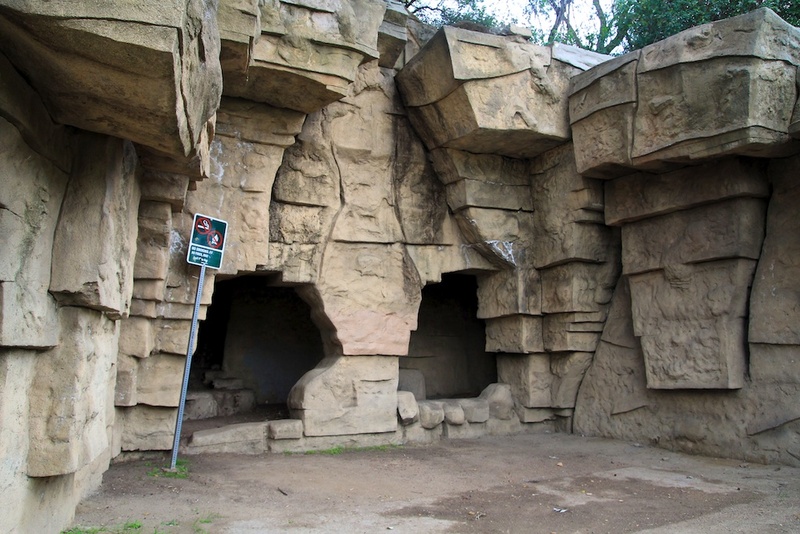 The Old LA Zoo is what remains of the original LA Zoo that was simply left in its place when the zoo changed locations. 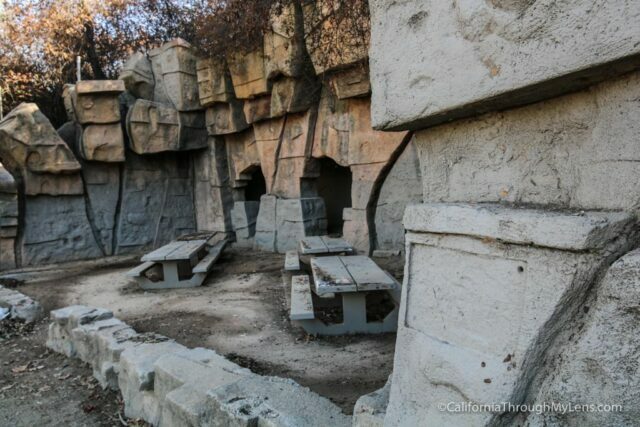 Also, picnic benches were added to some of the old animal areas, and it was adopted into Griffith Park, which welcomes tons of visitors each day. 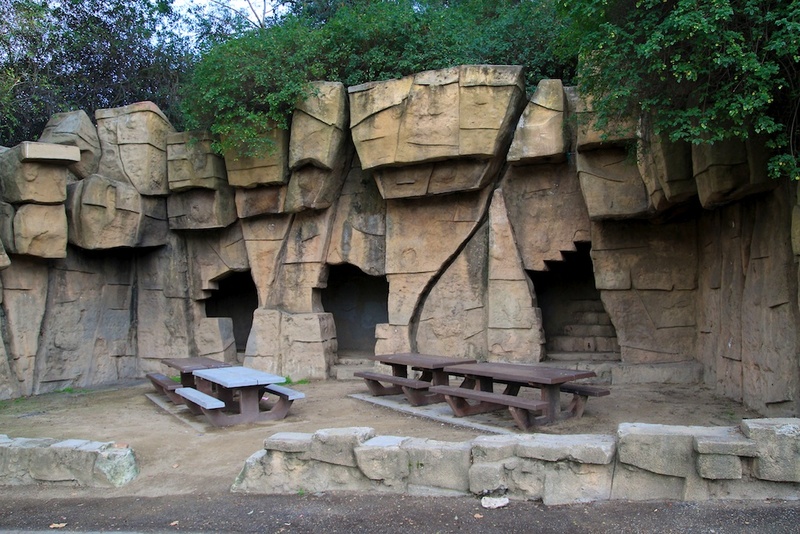 The zoo is a truly unique location in the urban jungle that is Los Angeles. I went to explore the area again in November of 2016, and the above video is from that trip. 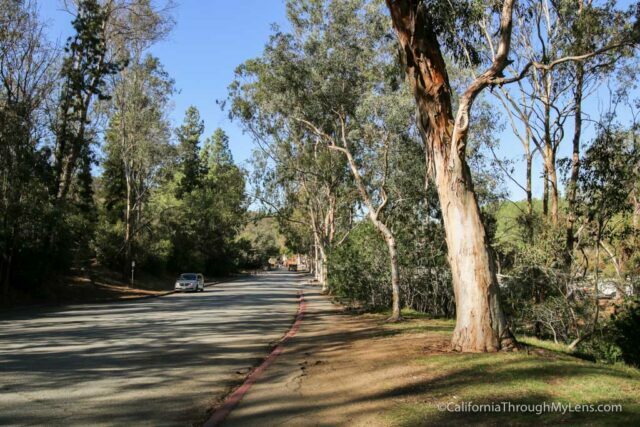 If you have ever been to Griffith Park before (not the observatory but the merry-go-round and horse areas), then you have been close to the old LA Zoo. 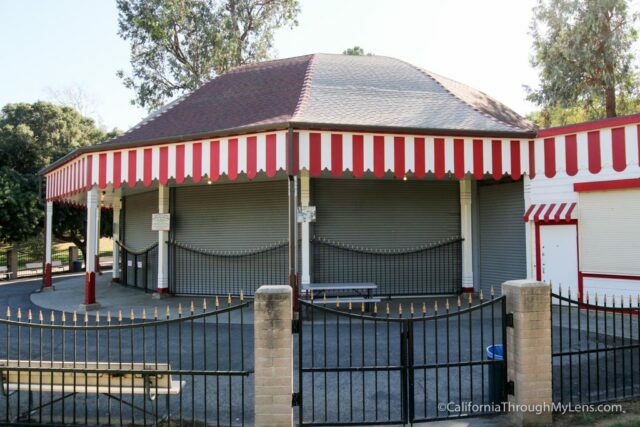 Located right off the five freeway you will want to enter the Griffith Park area (free) and proceed to the parking lot for the merry-go-round. If you proceed past the merry-go-round, till the parking lot ends, then it is a short 5-minute walk up from the lot to the zoo. 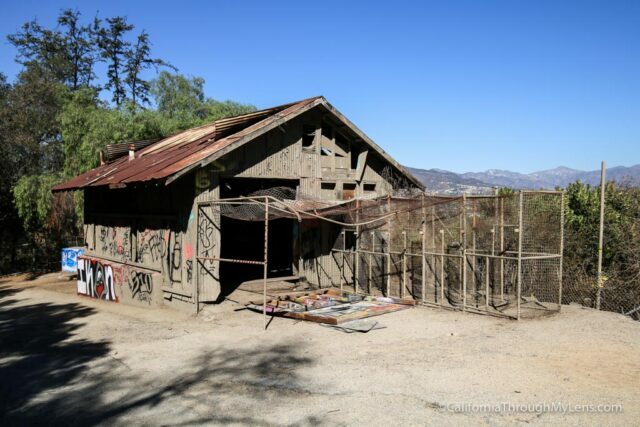 You can see the path in the above picture (but all the haunted hayride stuff won’t be there when you go). I prefer the short hike from the merry-go-round area which takes you to the top of the zoo and then back down to the front. 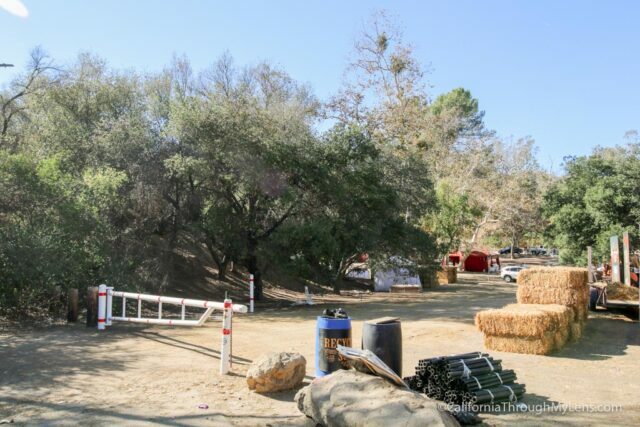 When you enter the merry-go-round parking lot, you will see a closed road that leads to a dirt path. 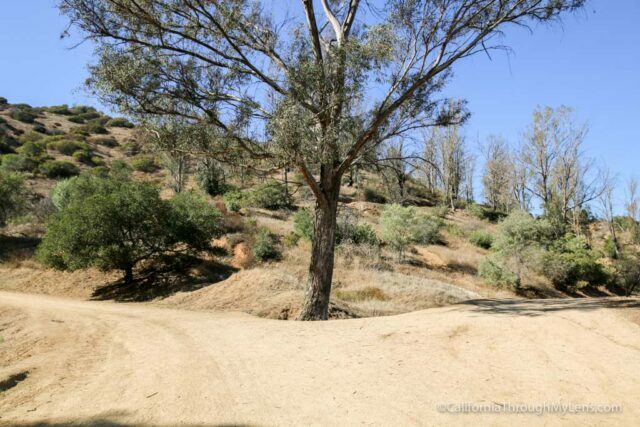 You follow this up and then head right at the fork, after a few bends you will start to see the remains of the zoo. Watch the above video for a better explanation of this. 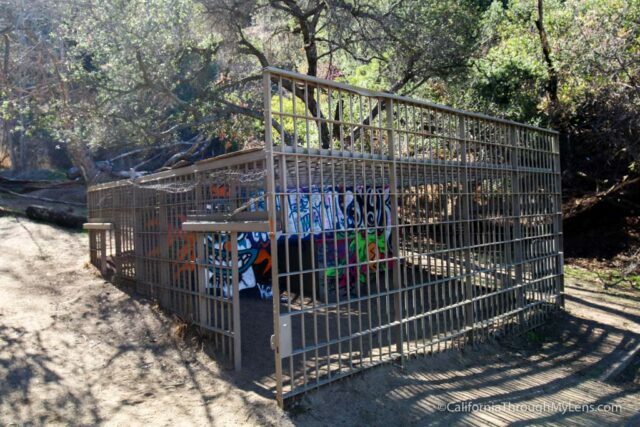 The first area you will see is the cage in the above photo. As you go around the bend, you will also see the large house below. 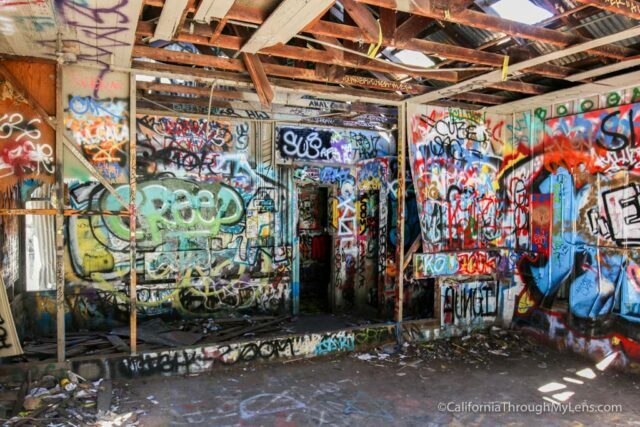 When I was there, you could walk right in the house, but be careful as it was in bad shape. 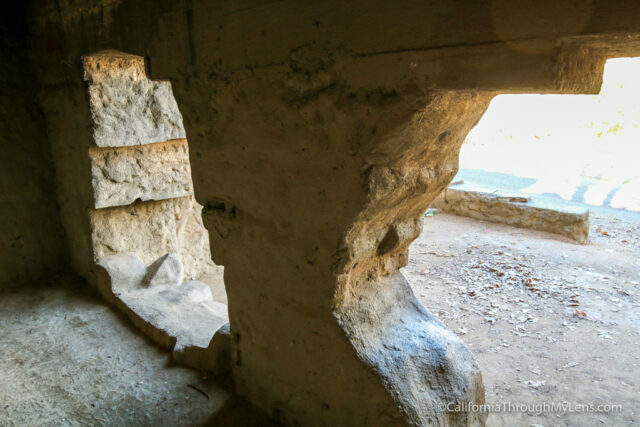 From here you will be right behind the large animal exhibits so that you can follow the path down and around and you will come out in front of them. The large animal exhibits are my favorite part of the zoo as they are well maintained and fun to explore. You can walk into them and look up through the locked gates in the back. The below photo was taken through the locked gate. This is also where the bear scene from Anchorman was filmed, and it is just a lot of fun to explore and walk around in these areas. The addition of picnic tables to these areas make them a great family outing on the weekend, and I saw two birthday parties, an art class, and some professional photographers all using them while I was there. While not as exciting as the large animal exhibits, it is still a lot of fun to explore these as well. I imagine these were the exhibits they were referring to when it said they shut down the Zoo for no longer being safe for the animals. 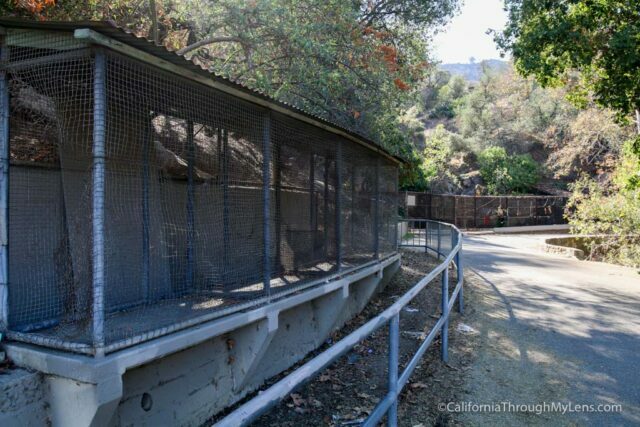 The cages are quite small, but there is a lot of them so they must have housed a decent amount of animals back in their day. These are mostly fenced off so you can’t go in many of them, but there are a few where the gates have been pulled back. 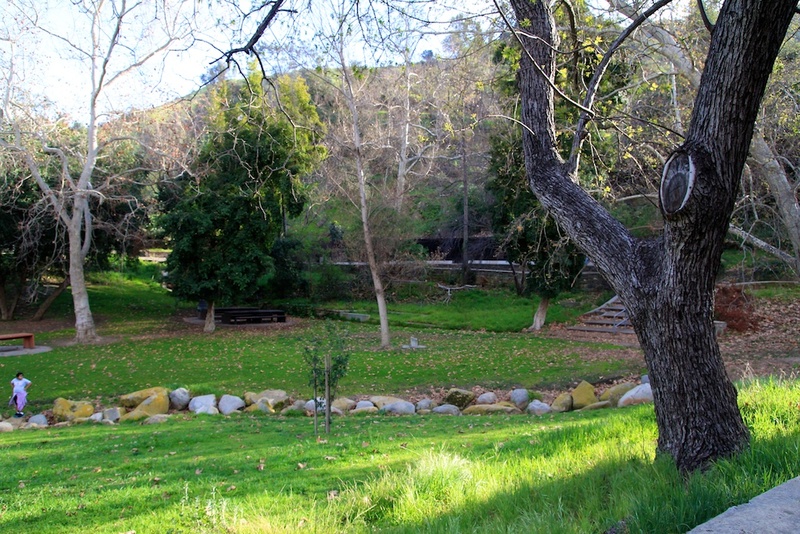 There is a nice picnic area with a couple of benches if you want to hang out here. This is also the way that you would proceed if you wanted to hike to the top of Bee Rock, the large rock jutting out in front of you. 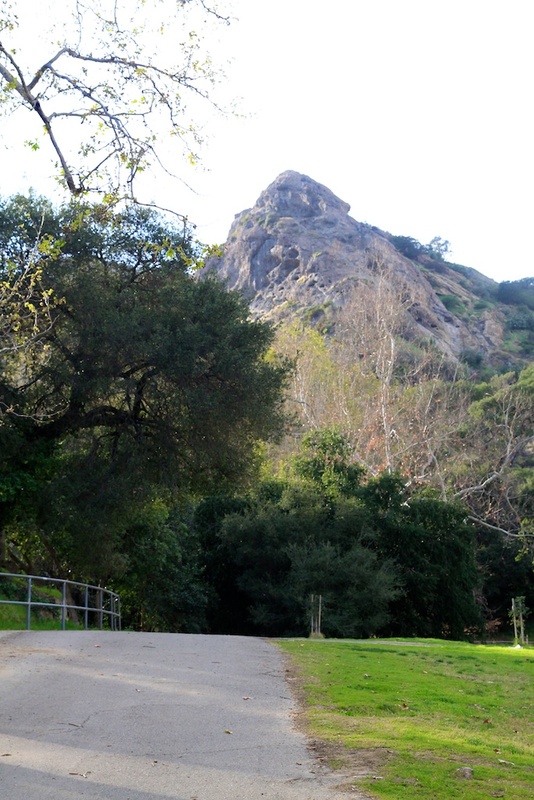 This hike is not too difficult but is probably another 2 miles past the Old LA Zoo. It does give you great views of the surrounding areas if you make it to the top though. 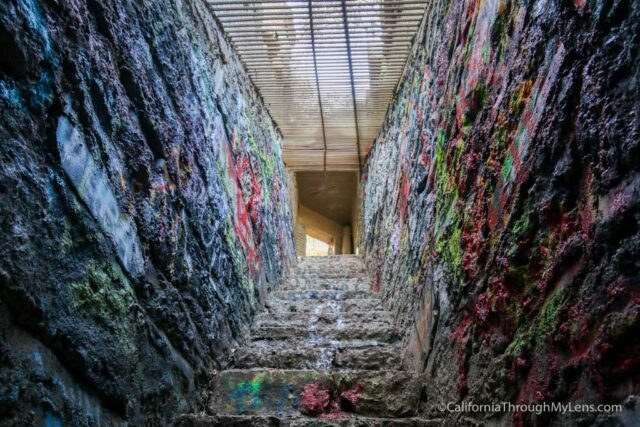 If you live near LA, I would highly recommend you spend a day here exploring. There were tons of people there the whole time, so it felt very safe while I was walking around the exhibits. Be sure to let me know what you think of this spot in the comments and watch the video above for more information.